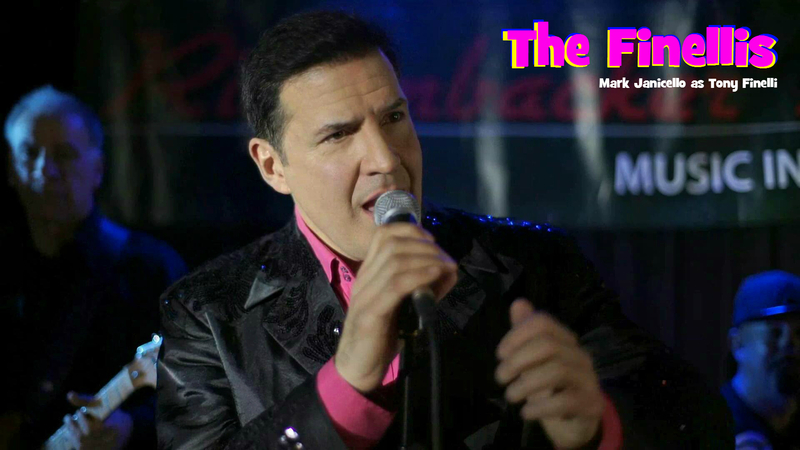 After taking the fall for a Mafia Boss, and spending 15 years in jail for a crime he did not commit, Tony Finelli, a star from the 1990s tries to rebuild his life and music career while reconnecting with his (now grown) children. In the 1990's, Tony Finelli, an Italian-American from New York (Mark Janicello) was a star in Europe. 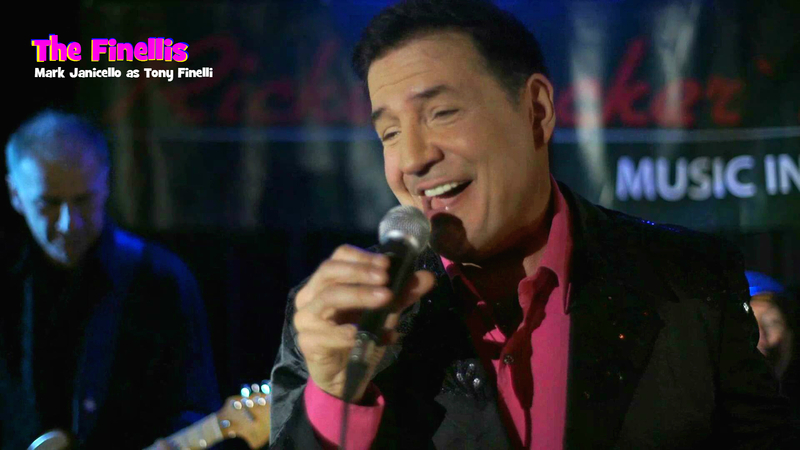 Tony found fame playing the King of Rock and Roll in "ELVIS: The Musical" and together with his ever-present Manager, Jürgen, turned that initial success into an international singing career. In 1997, Jürgen, was contacted by an “Italian Concert Promoter” supposedly representing "Mr. Big," (Godfather of the Gambaretto Mafia Family), regarding a big concert for Tony in Sicily. Actually, this “promoter” was an undercover Agent working for the German CIA, leading a secret sting operation to arrest Mr. Big, who was under investigation for both tax evasion and money laundering.Tony and Jürgen were handed the choice of either going to prison for Mr. Big or watching both of their families get murdered by the mob. “The Finellis” begins on the day Tony and Jürgen are being released from a 15-year sentence in Moabit Prison in Berlin. No one meets them at the gate. Tony returns to his former home in the well-to-do neighborhood of Charlottenburg, wanting to rebuild his life. Unbeknownst to Tony, shortly before his release, Tony's ex-wife (Chris)Tina Finelli, a former Model and Stewardess from Russia, filed for divorce. The scandal surrounding Tony's arrest, ruined Tina's reputation, and she had no income. To survive, she turned Tony's mansion into a boarding house. Now, as owner of Tony's former home, Tina lives there not only with their two daughters, Lola and Lena (now 27 and 20 years old), but with Tony's parents, Pete and Bea Finelli as well as his ancient Sicilian grandmother „Nonna.“ In short, numerous generations of Finellis are living under one roof. Recently, the Superintendent in Tina's boarding house, quit. To earn some money, as well as buy some time with Tina and his children while he tries to rebuild his career, Tony, the Italian Divo, takes over the Super's job. Although Tony still has a good relationship with is oldest daughter Lola, his youngest daughter, Lena, can barely remember him. Between Tony's “Divo Attitude” and his two left hands, he's a pretty rotten Super. When you add to that the cultural and generational differences between the Americans and Europeans, you create the comedic chaos that is "The Finellis." The Story Behind The Show... It's "Mrs. Doubtfire" meets "Goodfellas." In the 1990's, Tony Finelli, an Italian-American from New York (Mark Janicello) was a star in Europe. Tony found fame playing the KinG of Rock and Roll in "ELVIS: The Musical" and turned that initial success into an international singing career. In 1997, Tony's manager Jürgen, was contacted by an Italian Concert Promoter representing "Mr. Big," (Godfather of the Gambaretto Mafia Family), supposedly regarding a big concert in Sicily, where Tony was to have performed. This promoter was actually an undercover Agent working for the German CIA, leading a secret sting operation to arrest Mr. Big, who was under investigation in Germany for both tax evasaion and money laundering. Tony and Jürgen were faced with the choice of either going to prison for Mr. Big or watching both of their families get murdered by the mob. Aftr taking the fall for the Mafia Boss and spending 15 years in jail for a crime they didn't commit, Tony and Jürgen return to Tony's home in Berlin. Unbeknownst to Tony, in the intervening years, his wife Tina had divorced him and turned his villa into a boarding house. In order to be near his children, Tony Finelli takes the job as superintendent in his own villa, so he can rebuild both his life and career and reconnect with his (now grown) daughters, Lola and Lena. The Series begins on the day Tony and Jürgen get out of prison. 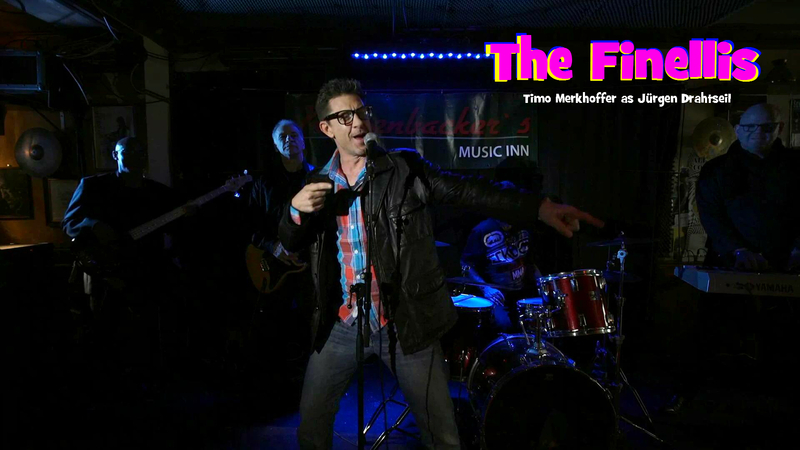 "The Finellis" is a new American Sitcom, being produced in Berlin for the international TV Market. It is a unique mix of family drama, comedy, music and animation. Worldwide Distribution: HG Distribution, Montreal.